June 1 – In a first all-French final defending champions Olympique Lyon seek a record equalling fourth Women’s Champions League title against Paris Saint-Germain tonight in Cardiff. Lyon are the dream team in women’s football. Their squad is filled with stars and bright talents with president Jean-Michel Aulas having assembled a team of global imports. Lyon’s women increased their budget to €8 million, in part to deal with this season’s arrival of US superstar Alex Morgan. Morgan faces fierce competition for the starring role up front from UEFA Player of the Year Ada Hegerberg, of Norway, and France strikers Elodie Thomis, Eugénie Le Sommer, Claire Lavogez and, prior to her injury, Delphine Cascarino. Morgan has been declared fit for the final after a hamstring injury. With the signing of Morgan, Aulas has taken steps to popularise the Lyon brand on the other side of the Atlantic, but his main ambition remains to dominate the European scene. In the Champions League semi-finals Lyon defeated and outclassed Manchester City, and their own US superstar Carli Lloyd, 3-2 over two legs. Aulas welcomes the prominence of Europe’s biggest clubs in the women’s game and the competition that brings. His team boasts talent in all areas of the field. Imposing defender Wendie Renard, cerebral midfielder Camille Abily and goalkeeper Sarah Bouhaddi are other key members of Lyon’s set-up, alongside German pair Dzsenifer Marozan and Josephine Henning, Swedish veteran Caroline Segar, Japanese defender Saki Kumagai and Canada’s Kadeisha Buchanan, winner of the 2015 World Cup Young Player award. In his last game in charge Gerard Precheur aims to win a second consecutive treble. He criticized UEFA severely after the governing body’s shuttle left his players waiting in the hotel lobby before getting stuck in traffic Cardiff’s congested centre. His team were not sharp against City in the last four and VFL Wolfsburg in the quarter-finals, but they remain favorites to retain their European crown. They finished 14 points ahead of third-placed PSG to claim an 11th consecutive French title this term, and secured the double by beating the Parisians in the cup final on penalties. PSG endured a checkered domestic season, finishing only third in the league, and outside of the European qualification spots for next season. Only a Champions League win will see them back in the competition next year. In Europe the Parisians defeated FC Barcelona in the semi-finals, drawing a crowd of 20,000 to the Parc des Princes. In 2015 PSG lost the Champions League final 2-1 to FFC Frankfurt. Like Lyon, PSG have invested in their women’s team which this season had a budget of €7 million. “When we got to the finals with Lyon we used to play German teams, but now we have two French teams and it shows how far French clubs have come,” said PSG coach Patrice Lair. The winner of the final will receive €250,000 in prize money, the runner-up €200,000. 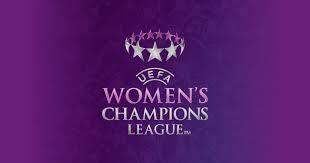 This season the women’s Champions League was expanded to allow the top 12 national associations to enter two teams in the competition, but the format has received criticism both for not opening up the European Cup to new territories and its limited prize money.